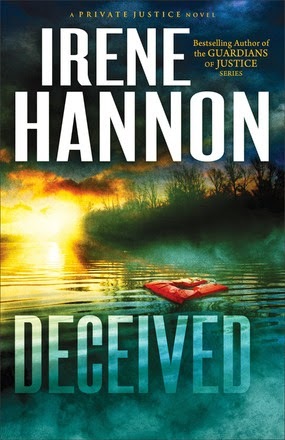 As Irene Hannon's many fans have come to expect, Deceived is filled with complex characters, unexpected twists, and a riveting plot-line that accelerates to an explosive finish. Irene Hanon has been a favorite author of mine since the first time I read one of her books, and she has kept me hooked. This series is in my opinion her best so far. Deceived is the third and final book in the Private Justice Series, and was well worth the wait since I read book two. Each book has focused on a different member of a team of three private investigators, and this one is centered on the third and last member of the team, Connor. I thought this book had a great plot. A mother who has lived for three years thinking her son was dead, now to find out he might not be. At first I wondered how a whole book could be written about that, especially once it became obvious to the main characters what the truth was, but the author wove a great story around that plot that kept me turning the pages as fast as I could read them. Not only was there a lot of suspense and mystery, but the anguish of a mother trying to find the truth, and the determination to find that truth was portrayed well. The author also brought up an interesting angle of a child who has been kidnapped and doesn't know it, and has formed an attachment to his or her kidnapper. I loved the book, and unfortunately started it at a time when I had to put it aside until the next day. And that was hard to to. Great book, and an awesome finish to the series. Each book is a different story and doesn't hinge on the others, however there are a few references made to events in the other books, so it would be best to read them in order, but not necessary. novels, including the Heroes of Quantico and Guardians of Justice series. Her books have been honored with two coveted RITA Awards from Romance Writers of America, a Carol Award, two HOLT Medallions, a Daphne du Maurier Award, two Reviewers' Choice Awards from RT Book Reviews magazine, a Retailers' Choice Award, and a National Readers' Choice Award. 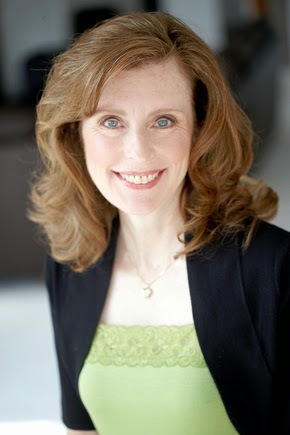 In addition, she is a Christy Award finalist, and Booklist included one of her novels in its "Top 10 Inspirational Fiction" list for 2011. Irene lives in Missouri. Learn more at www.irenehannon.com. Deceived is available from Revell, part of the Baker Publishing Group.